The Sun was there always. For centuries upon centuries great fields of stone blocks baked in the desert sun. Sometimes they cracked and fell in the chill of the night. Nobody knew their story, only that men had once risen high and now were gone. Then, in the nineteenth century, men and women came to dig out the ruins, to read again the old symbols. 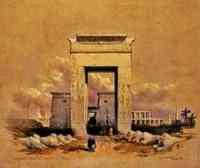 Artists came to bring images of these ancient marvels to the world. This is their place. It is quieter, the sand lies deep, the towers fallen. But it is closer ... closer to the heart of the ancient Egyptian people, of so long ago. The Pyramids have forced their way into the world's consciousness by sheer size and power. 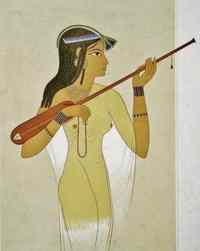 King Tut's treasures achieved the same with artistic perfection. Either of them, if created today, would still astonish. They contradict orthodox ideas of ancient innocence and modern progress. These bits of Egypt, with so many more that are less well known, are hints that Egypt held knowledge that has escaped our science. Vital knowledge. Or, perhaps, wisdom. In the Great Pyramid of Egypt the Ascending Passage is a narrow tunnel into the ancient House of Secrets. After a long climb it becomes the sublime Grand Gallery that connects the King's and Queen's chambers, balancing the energies. 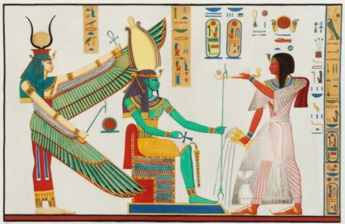 Ancient Egypt sought balance, Maat, in all its' endeavors: Art, Science, Medicine, Architecture, all were based on the same core of Knowledge. 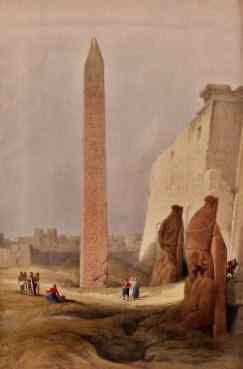 Offerings to Pharaoh Ramses III. 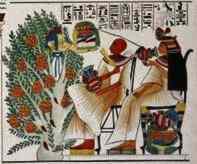 If we only see the Egyptians through modern eyes we miss half of the story - the most interesting half. The vision of these ancient people can awaken it's analog in us. And this understanding, long misplaced, is still important. 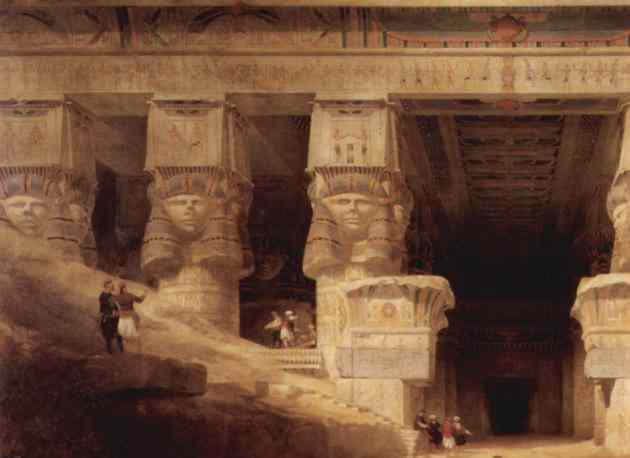 This website explores ancient Egypt through the words and images of 19th century travelers. Each in his own way was moved by Egypt, it is hard not to be. There are unexplained archaeological mysteries and secrets on one side, intense beauty and artistic achievement on another. There is a third side to Egypt, something beyond the words and pictures. It is this third side that is, after all, the true ascending passage. The Temple of Hathor at Dendera, Egypt. David Roberts (3), Prisse d'Avennes (2), Salvador Cherubini, and Harold Jones.